It’s PARTY TIME! Whether you’re hosting a family get-together outdoors or planning an indoor event, there are plenty of ways to bring the family together on the CHEAP. I get it. I love parties! 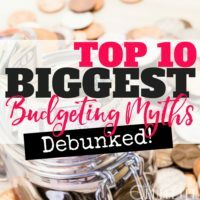 But it’s WAY TOO EASY to go overboard with epic party ideas, totally blowing your budget in the process. 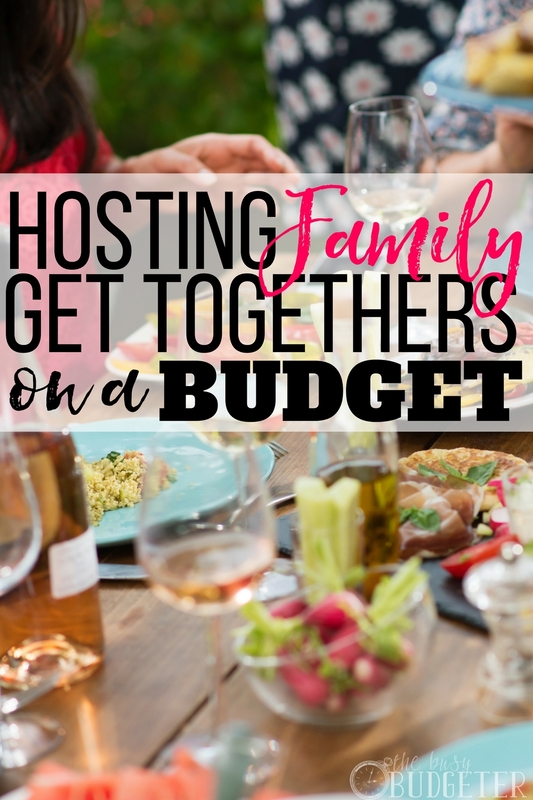 Entertaining is expensive and hosting a family get-together is no small task (and one that often falls on Mom). So before you whip out your credit card and start spending money, hold up. Family get-togethers should be about creating memorable experiences, rather than giving gifts or spending money. It’s about bringing families together and enjoying each other’s company while you make memories. So, don’t stress! 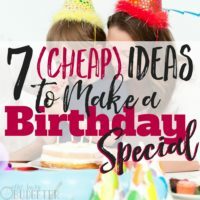 Whether it’s a holiday, birthday, anniversary, graduation party, or just a fun-in-the-sun activity, there are many easy, budget friendly, party-planning ideas to make it happen! So you have a family get-together coming up and you’re the host. Well, never fear! Use this easy party-planning process to ensure your guests have a great time when you’re hosting your next family get-together. Your party theme will set the tone for the entire event. The good news is there’s bazillions of ideas out there. Once you’ve picked your favorite budget party theme, it’s easy to build on it! It’ll shape your whole party plan and keep everything on track. Depending on how big and how formal the event is (a family reunion or graduation might be different than a casual summer celebration), you may want to send out invitations a few weeks or even a few months in advance. If travel is required, be sure to give your guests enough time to plan their trip. On the other hand, if most of your guests are local or if the event is an easy family get-together, the invitations can be super-simple. Try electronic invites through Evite or Facebook. You can create an event and invite people without sending out paper invitations (for free)! When you invite people, it’s totally fine to ask them to contribute. Let everyone know you’re hosting a potluck event (or BYOB). Asking everyone to bring something makes guests feel like they’re contributing to the fun—plus, you’ll save a TON of money on food. If you really enjoy cooking or prefer NOT to do a potluck event, pick menu options that don’t require involved cooking. When you’re hosting a family get-together, the last thing you want to do is stow away in the kitchen the entire time! Try a few 15-minute meal options that you can make ahead of time. You can make Sloppy Joes or ham sliders, both perfect for get-togethers. Try Tex-Mex chicken wraps or meatball subs. The great thing about whipping up sandwich-type items is that the sides can be simple and easily made ahead. Kool-Aid is a cheap, fun drink that everyone loves. For dessert, try popsicles or ice cream with fresh fruit (or served as root beer floats). Easy, simple, and everyone will love it! For adults, the very act of getting together as a family can be enough for entertainment, but to have a really fun family get-together, you may want to plan a few cool activities besides simply eating. Put on some great summer tunes—country, pop, oldies—try to pick a soundtrack that everyone can get behind (especially if you’re planning for a wide age-range of attendees). Music is free and it’ll really make your event feel like a party! Usually 2 or 3 games or challenges are enough to keep everyone entertained without feeling like you’re “forcing” everyone into an activity. You know how active your family is, so plan accordingly. If your family is super-sporty, ask your guests to bring their favorite sports equipment. A badminton set or bocce ball game will really add to the (free) fun! If your family is more casual, opt for 1 or 2 “active” games and 1 less-active option. Grandma might not love Ultimate Frisbee and some games can be too challenging for younger kids. Try a card game or a game like Tenzi or Uno that doesn’t require a ton of skill but gets everyone laughing and engaged. If your family is crafty, you could try letting everyone paint a watercolor or other little painting project they could take home with them afterwards. Decorating a picture frame from the dollar store or making a paper-craft that matches your party theme can also be fun. Whatever activities you choose, try to keep them flexible and fitting for a wide-range of ages and abilities. No one wants to be frustrated at a party, so if someone doesn’t want to play or take part in an activity, don’t force it. Party activities should always be about having fun and building your family bonds. Outdoor family get-togethers are a DREAM to decorate because you can go totally simple. String up some Christmas lights, put some flowers (or a potted plant) on the table, or use a bunch of mix-and-matched floral items to create a casual/fun vibe. Grab paper lanterns from the dollar store, or consider recycled jars with tea lights in them for table decorations. If you’re having a party that’s themed around camping, use a flashlight, bonfire or lantern for lighting when the sun goes down. For water-themed parties, pull out your kiddie pool and hang a few beach towels over the fence or lay them out on the ground. To stick to your budget, get creative, and use items you have on hand to keep the decorations simple. Decorate with family photos to warm everyone’s hearts or try framing pictures that match your theme (Disney princesses, superheroes, baseball cards, tropical seascapes) and place them around on the buffet table. Photos make great gifts as well as great decorations. When it comes to party favors, don’t stress! The biggest rule of party planning is to have fun and let yourself enjoy the party, too! People don’t expect red-carpet treatment when they come to a family get-together or party. They just want to enjoy the company, laugh, and make memories. Super simple party favors are just FINE. A baked dessert (cookies, cupcakes) is easy and cheap, and your guests can enjoy it on the way home. Your guests can also take home the item they crafted (if you set up a craft station). If you have time, email your guests a simple thank you and include your favorite photos from the party. Family get-togethers are about really appreciating each other and connecting as a family. So often, in our hustle-bustly lives we don’t have time to really enjoy relatives. They get older, kids grow up, and suddenly life has passed and we didn’t spend as much time as we wanted together. Host family get-togethers to really show your family how much they mean to you. Spend time bonding and just enjoying each other’s company. Regardless of your party theme, the menu, or the activities, it’ll be the best party ever because it’s your family! Great ideas! I always try to cook ahead as much as possible for family gatherings. Trying to cook with lots of people standing in the kitchen trying to talk to you is stressful! What a cute idea – thank you for sharing! These are wonderful ideas. When it comes to party planning for families, simple is best! It makes life easier for the person in charge of planning and people can relax and enjoy themselves so much more at a picnic or barbecue rather than a fancy affair. Thanks for all these great ideas, I especially like the idea about creating a theme. Themes make an even feel special- and it’s easy to plan. I think my favorite thing to do for family get-togethers is to go pot luck style. It’s so much less stressful for everyone and there is more variety. Family get-togethers can be a lot of work. One thing I often do with my family is make the event a potluck. That way the costs are shared, but so is the labor! Since the party about enjoying time together as a family, my family is more than willing to pitch in and make it easy. Many hands make light work, as they say! And going back to the event being more about the time spent together than taking something home, I just skip the party favors altogether – that alone takes out some stress for me. Those are nice ideas that turn an otherwise stressful activity into a family-friendly fun event. 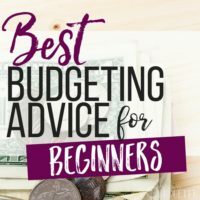 The key is to be well-prepared and follow your budget. We will host a small concert for my kids’ own band in our backyard and many parents will come. I can definitely use the ideas in your post to make sure it is a success! These are some great ideas! We do a weekly potluck with a good group of friends. It is really relaxed and enjoyable. Sometimes we do a food “theme”, but most of the time we just bring whatever we want. After dinner the kids play and the adults enjoy a boardgame or cards. It is so important to make time for family and friends! Love the tips. The host and the guests will all enjoy the family get togethers by following these tips.